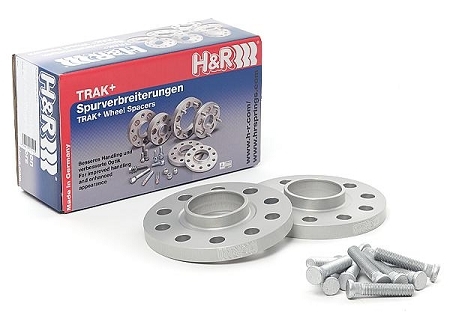 H&R TRAK+ wheel spacers let you balance the handling and performance of your car to suit your aggressive driving style, and without spending the time, money and trouble of springing for bigger wheels and tires. This spacer is fitted between the wheel and hub, exchanging the existing wheel studs for longer ones. NOTE: ALL DRA, DRM, and DRS kits come complete with all necessary wheel bolts, studs and nuts. These will be used in connection with the existing parts fitted to the vehicle. DRS kit requires the new studs to be pressed into the hubs of the vehicle.